Half of my friends don’t believe that I have a job. Well, to put the record straight, apart from the first 3 months of this blog’s existence when I was jet-setting across Europe and relaxing after graduating, I have had a full-time job. I write and manage this blog in my spare time and on my commute, and I travel within my annual leave. 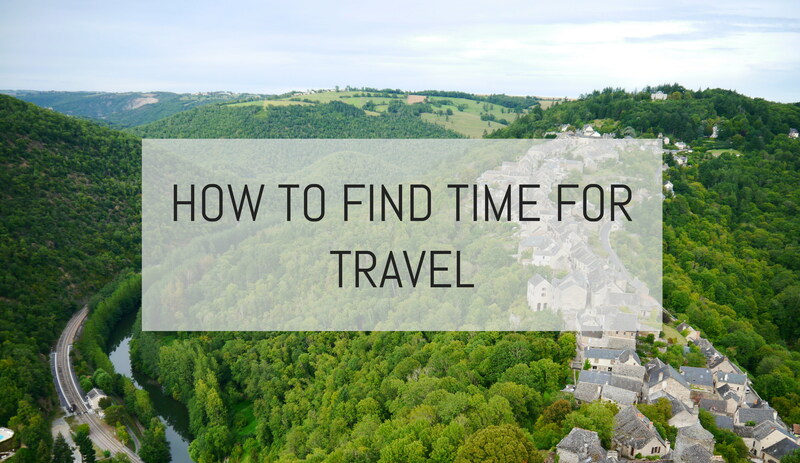 So how on earth do I find the time to travel so often? I thought I’d answer this question once and for all and pass on my tips, hopefully helping you to fit in more travel into your annual leave and helping you see the world. So read on to find out how I manage it and what you can do too. (Another question altogether is how I find the money to travel, which I’ve answered in this blog post). I’ve been at the same company since I graduated 2 years ago and I get 26.5 days of annual leave per year, which is slightly over the UK average and over double the allowance in the US of just 10 days. Watch out for this important line in the job description when considering a new job. On top of my allowance, my company allows me to buy another 5 days, which I do, and that brings me up to 31.5 days a year. Add that to the 104 days of the year which are weekends and the 8 public holidays, that gives me 143.5 days of the year that I’m free to do whatever I please. That’s almost 40% of the year. Ample time! See if your employer also let’s you buy extra days. In 2013 I had 6 separate work trips abroad: to Prague, Dublin, Madrid, Barcelona, Munich and Johannesburg. If I’m there Monday to Friday then I can extend the trip to have an extra two weekends there, and flying during working hours (I have a work laptop so can work on the flight) means I don’t waste my precious weekend on transport. If I’m heading away for the weekend then I will head straight to the airport on Friday after work and I’ll return to London on the very last flight on the Sunday evening, maximising my time in the destination. I don’t bother with doing chores/preparations for the week ahead on a Sunday night (an awful way to spend the last few hours of the weekend), and I’m happy to arrive home after midnight on Sunday before heading to work on Monday morning (I can survive on 5-6 hours sleep). Actually travelling to a place takes time so it’s all about being efficient with time. Here’s an obvious one, but I plan holidays over Easter and August bank holiday, for example, so I don’t use up so much annual leave. This year I moved to Madrid for 6 months for work and had the joy of a whole new city to explore! I barely felt the need to travel abroad as I had so many new nearby places to visit, like Toledo, Segovia and of course the various neighbourhoods in Madrid itself. The added benefit of moving to Spain is that they have lots of public holidays – it’s quite astounding! While in Madrid I had 6 bank holidays, while there were only 4 in the UK. I honestly can’t advocate moving abroad enough – the experience in itself will be so fascinating and novel that you won’t feel any wanderlust at all. In the spirit of being efficient with my time, I’ve taken to splitting a 1-week holiday between two destinations, thereby seeing two different places. For example, on a Friday after work in October we flew to Istanbul for 4 nights, then flew to Malta for a further 5 nights (where I got my PADI Open Water!) and returned to London just after midnight on the Sunday evening. I took 5 days annual leave but spent 9 nights away and saw two totally different countries, fitting in a scuba diving course and exam too. No one can accuse me of being lazy! It wasn’t the most relaxing holiday as we packed so much in, but it’s an example of how I really make the most of my annual leave. And finally, I’ve never used a day of annual leave to just hang out at home. I get my chores and errands done in the week nights so that I don’t end up wasting my annual leave on boring things like that. And that’s how I manage it. Obviously a fair few of these 9 tricks are only possible because of the company I work for – I’m lucky that I get to travel for work, work flexibly from home on occasions, buy more annual leave and of course, to move abroad for 6 months. But more and more companies are adapting to be more flexible so it’s worth looking out for these perks when you’re job hunting. I hope these ideas help and let me know in the comments below if there are any other ways you manage to travel as much as possible? It’s great that you can buy extra holiday! I didn’t even know you could do that. I’m thankful that I still have the Summer holidays to travel in but will be definitely taking your advice once I’m in full time employment! I had never even heard of that perk before I started my job, so definitely look out for it! And I’m incredibly envious of your summer holidays – what a luxury! I’ve just started a new job myself and I’m still itching to travel. Question: How do you find prices when you travel over the Bank Holidays? Thanks! And good luck with the new job. Affordable bank holiday trips definitely need some forward planning and strategic choice of destination (ie. don’t head to Scandinavia or a major capital), and a countryside trip with a hire car is a pretty good way to keep costs down. Last year I went to the rural south of France over the August holiday (see here: http://wp.me/p2vXt2-1iA), and we barely spent any money as the countryside doesn’t involve smart restaurants, cocktail bars or expensive museums, instead it’s all about informal picnics and homemade dinners eaten al fresco. Some really great tips there! I am also hoping to travel a lot this year as I have a rather generous leave and if you time it right, you can have a great year of travel without quitting your full time job. Thanks for this list! Well done! Yes, it’s all about timing your trips well and fitting around other holidays. And the full time job helps to pay for it all, so it balances out ok. This is a really great post, really helpful. I would love to do some travelling and I have some time, as I’ve still got final year of Uni to go, but I felt a bit like I had to do everything now before I graduate and get a job. But just goes to show you can still travel even if you have a full time job, you just have to use your time wisely. Deffo going to be remembering these tips for when I finally have a job! Thank you Julie! Definitely make the most of your free time before you graduate and find a job, but don’t despair yourself to never travelling again once you’re working, as it is possible with a little planning. Good luck with finals! Totally agree – what’s one jet-lagged day? Most people are sleepy on Mondays anyway so it’s no difference really! It’s nice to see how someone who works full-time fits in travels! I had heard 10 days was the average amount of annual leave a US company gives… Appalling! Jeez I wish I had as many annual leave days as you! I am from the US and have 20 days, which is already above average, but that’s just not enough for me! Yes, 20 days in the US is great! I wish I can manage my trips the way you do! It is really great how you can keep moving abroad with that ease! Greetings, Man With Van Islington Ltd. It is really the best to move somewhere where you have a job… or sign for some of these programs for English teacher… There are some opportunities! For now I just use every weekend I have and plan my trips few months in advance do I can take days off! Lovely post! Thanks! Great Post! I have a similar situation as yourself, I’m lucky enough to get 25 days holiday plus the mandatory 8 days bank holiday. I have the added bonus of living 10 minutes drive away from Gatwick Airport. Last year (2015) I fitted in 12 adventures, one for each month and travelled to 15 seperate countries! This lifestye is busy but cannot be beaten! Fair play to you and keep it up!!!! Well done you! And how lucky being so close to an airport. Good transport links are essential!